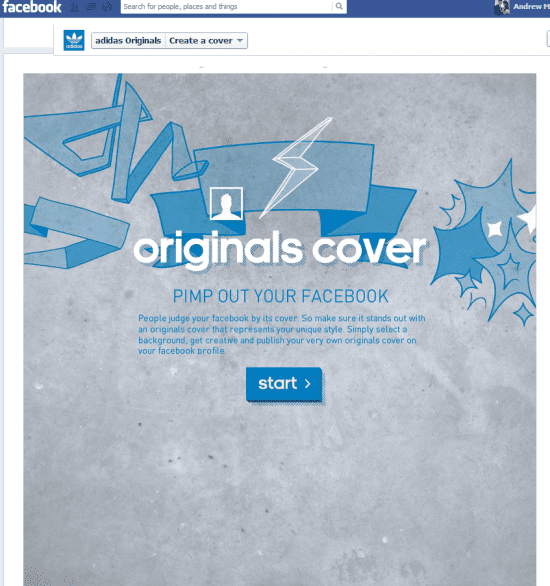 Developing Facebook Apps for Brands: Why Light and Simple is Best. For the majority of brands though, producing their own apps is not essential, nor should they be. If you are perhaps thinking of a Facebook app for your brand I am not trying to convince you otherwise. If your current, or future Apps work by definition because they have a function and output for the user that supports the brand, aids user discovery and interest – and adds value to them as a consumer, then it’s going to be a good investment of your time. Ultimately for the organisation, data is collected, the app and brand messages are shared and the successful app can go a long way to establishing or strengthening social media and online brand traction. 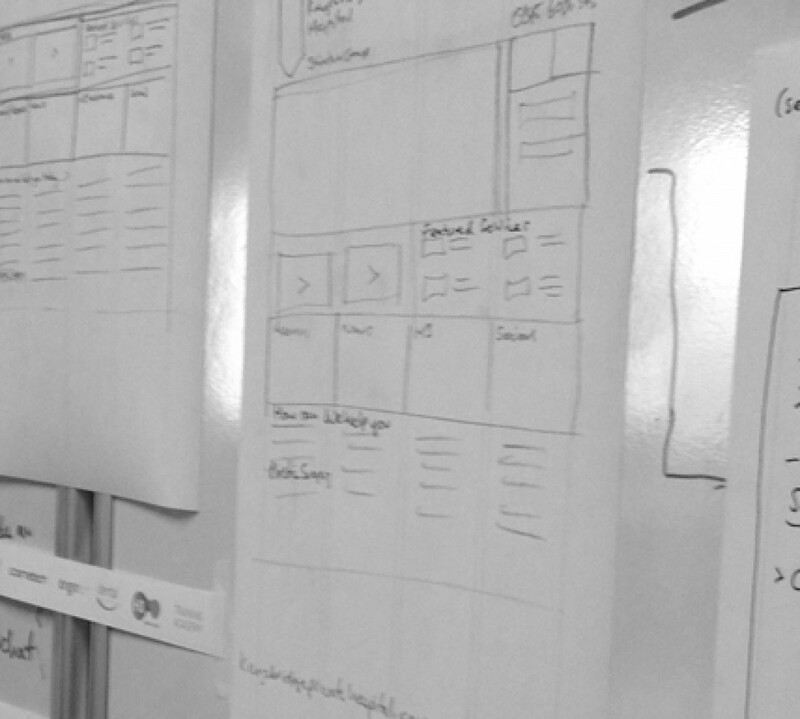 In this short article I wish to show why, if a Facebook application or a range of applications are chosen as part of a social strategy – to be effective it should be as light, simple, quick, accessible and user-friendly to achieve its goals. Complex and immersive brand experiences really, in the norm, do not belong on Facebook because the world’s no.1 social platform for business and personal usage – lends itself to, and has already established a user experience based on speed, lots of content to scan at once, a user’s nature of browsing over content immersion, and simple actions and user experience actions driven by speedy and simple calls to action. The app is simple, fun, shareable and ties in perfectly with the 2013 Easter campaign for Creme eggs. Nothing more than a photo upload and a share is all that is required. 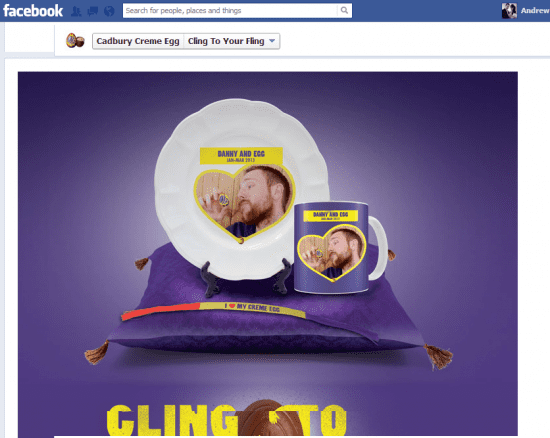 Okay, some effort is involved in taking a photo with your creme egg first, but after that it’s plain sailing and this app has great viral potential and is well linked to a supporting online and offline brand campaign. With 2 restaurants in Ireland; one in Belfast, one in Dublin, and Boojum wanted to promote and deliver a FREE BURRITO DAY to one city in the Summer of 2011 to reward fans and customers. The idea we came up with was simple. Whichever respective Facebook page delivered the greatest number of likes during the competition duration would result in a FREE BURRITO DAY for all in the city. The app was set up to record, visualise and encourage shares and likes and that’s simply all that was required. The results were great and you can View the Case Study Here. So these examples are a handful amongst thousands of great or good examples, where a brand is able to successfully engage and interact with their audiences in a way that gives the brand valuable data and of course more likes – but importantly the apps are quick, simple, shareable and accessible. Many brands have now woken up to the fact that users on Facebook, in the main, do not want or have time to participate heavily with your brand, but if you manage to attract the few that will take a look at what you can offer then be sure of one thing – the app needs to be clear, concise, add value and most importantly, be simple. Content Marketing is the trending Digital Marketing topic of 2013. A strategy for the online content you are publishing, now more than ever seems essential for online engagement, search and social sharing of your brand messages or services. It’s not new of course, it’s always been there in various forms. Now though, everyone is a publisher – everyone is a mass consumer – everyone is a media outlet to spread the news – everyone is using digital as a communication tool. Now you simply cannot afford not to give your audiences the digital content they crave, how they want it and in a way to keep you competitive and engaged with your audience and customer. It’s not an easy challenge to effectively and strategically develop a content strategy that will work, especially if resources are limited. As a blogger I know all too well that thinking, planning and actually delivering on original content to write on my blog or post on social media can be time consuming and challenging. Inspiration comes in many forms. Often the best content is not always 100% original. Often the best traction can be attained from curated content; but it has to add value. It must correlate to your brand, products, services and generate insight, interest and debate beyond the original author(s) points. Now… if you are really looking to have an impact with your audience, curation should not be the beginning and end of your content strategy. Totally original content (if there is such a thing) if you are involved in digital marketing, or mostly original, should still be a key part of your content strategy; it will build brand recognition, trust, thought leadership, differentiation and enhance your sense of meaningful content contribution to your audience. Overall though, for the majority of brands, organisations and individuals – it makes sense to centralise content curation in addition to publishing original articles and any other form of content such as news, events, products etc in their various forms. Effective content curation happens over time. Of course it cannot exist individually, staying active across social networks, industry events and of course originating your own content play a big part of the content marketing challenge. Curation though, can play the central role in generating your brand awareness, credibility and popularity. Having something interesting to share in context to how you interpret it, the benefits to your audience, or your opinion on it’s industry validity and use can often be as effective, or if not more, effective than original content that might not meet your audiences needs. Successful curation does not happen by chance. Of course, stumbling across something worth sharing naturally occurs, but this doesn’t mean you should; you are right and also your audience might not want or care about it right now. By effectively setting up channels, approaches and time to correctly source, filter and the in a timely and effective manner, publish content, you will find results become measurable, resources can be allocated and trends can become established. Your sources of content to curate could be. Tips and “how to” lists. Generate website leads through awareness, SEO and carefully constructed calls to action. Become well known by people of influence in your industry leading to networking opportunities and organic sharing potential. Success will be gained, as with all content marketing, when you take the time to learn and focus on what matters to your audience or community and align that with your own online value proposition. The more considered you are about any content you curate, or in-fact create, the more naturally you’ll optimise the content that your audience is craving and it will gain traction across search engines. This video below is well worth a watch, breaking down the purpose and tactics around successful content curation and supporting some of my previous points. Some of the many blogs and social accounts I value highly from a curation point of view are listed below. I could list 20+ reputable sources but I guess everyone that might read this already subscribes to mashable and e-consultancy for example. For me, these curators add value as they don’t always post the same content type, don’t simply re-tweet the obvious posts from the big players, they have interesting comments and opinions based on their sourced content and keep their curation efforts varied, fresh, engaging, on brand – and importantly sprinkled with thoughtful opinion and insight. Naturally, they do not solely curate. Original and engaging content forms part of their mix and that’s one of the key reasons why their content curation is also highly valued by myself and many others. I’d recommend you visit and follow them for your own digital marketing curation efforts, or look at what they post to get some good ideas. The Only way a relationship will last is if you see your relationship as a place that you go to give, and not a place that you go to take. I have recently read Nick Harkaways book “The Blind Giant” and found it a fascinating, engaging and eye-opening read. It makes you realise that we must not forget that those who follow us, will be born into a purely digital society, where eBooks and augmented reality will have gone from exotic to everyday. In The Blind Giant, Nick Harkaway, considers whether this new world of ours will be a place of purpose or hellish. Some of Nick’s arguments about what could lie ahead seem a little extreme, a little affiliated to “Minority Report” but we cannot ignore that as more and more of how we consume and deliver content is not only digital by nature, often it’s out of necessity, not choice – and that trend is likely to continue. Ultimately, Harkaway makes the case that technology is like any other tool: neither a good or bad thing, except in how we use it. Reading this book opened my eyes not only to the future of digital in our world but also the present. Technology, software and the devices we use have of course shaped our social and human behavior on a number of levels, from shopping, to leisure, to business. Lives are lived online, and the opportunity to have a live feed into the minds of those you care about is becoming a clearer reality. People are more willing to share and consume horizontally through their social networks, rather than vertically. The organic spread of ideas, relationships, and trade can now be observed and measured on scales of unprecedented detail. But it doesn’t have to be that way. I want to highlight how in the context of businesses to consumers, organisations can act, appear and deliver more human aspects of behaviour both through and alongside their digital communications to complement each other. Deliver video and audio content to connect with the audience on real terms and improve brand personality. Personalise emails both through whom it is addresses but also based on preferences. Ensure telephone numbers are clearly promoted online. I think we all know the inevitability of an increased trend for more digital consumption and communication out of necessity due to rapidly evolving commercial, media and interpersonal landscapes. But this doesn’t mean we have to be any less human. It’s about balance. We must continue to act, sound and appear human even online and I hope that the norm isn’t that we get lazy and devalue personal contact by default over a more convenient digital equivalent or alternative. Google Glass is an example worth noting. This technology due to launch next year has the potential, for us to act more human, from the perspective that our digital media consumption can be consumed whilst interacting visually and in body with the real world. An argument to this though is that we may as users of the product, disconnect from the real world as we focus on what the heads up display is communicating to us. The latter is a de-humanising effect, (well… based on our definition of human behaviour) but perhaps a new set of human and social behavioral attributes need to defined “the norm” in light of communication and technological advances and trends. Related to this discussion from a social media perspective is a really good Q&A worth checking out with Nicholas Christakis from the TED series, entitled: “Our modern, connected lives.” It’s interesting as it raises many points around the our influence and behaviour driven by our modern connected online social experiences. It’s a well-balanced series of responses to topics of friendship, social influence and even online dating from a real world vs digital perspective. This post is a summary of a recent blog I wrote for Smart Insights on how a brand strategy must consider and ensure a “Digital Centric” approach to the brand creation and ongoing activities. In 2013, more than any other year; website(s), search marketing, mobile content, social media, rich media, e-commerce, email marketing and their interaction, all have to be carefully considered in a brand building process. In a branding process it all starts with the customer; considering a number of factors from age to gender to disposable income, through to their estimated frequency of purchase. The demographics will have a digital footprint, It is vital to determine what these customers will search for, what devices they will be using and when and which social networks, websites and apps they engage with, how often, and when. 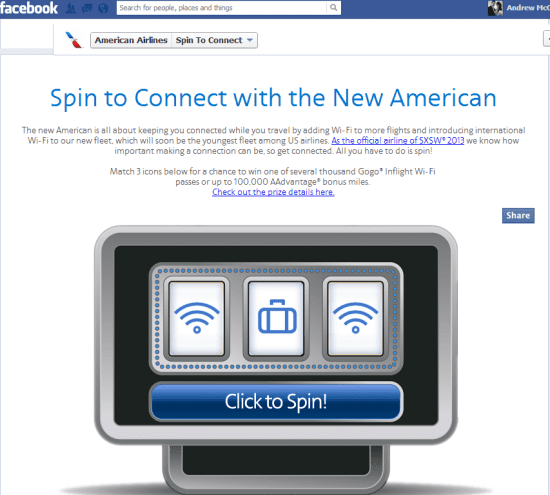 Offline, a brand’s connection with customers will deliver an experience good or bad. For example in retail, a customer can call to get a location and opening hours, drive to the location, walk into a store or warehouse, access the checkout, purchase effectively and leave safely and securely. Online branding should deliver the same experience that you wish to deliver for your customers; including accessibility. There is though a long way to go for this to be taken as the norm. In a recent survey only 18% of brands surveyed admitted to being “seriously” committed to delivering the best possible online user experience (UX). More reading on this statistic via a recent Feb 2013 report is available via e-consultancy. For some, this is their understanding of where branding starts and finishes. Of course, we know there is much more, but it is true that it is what instantly connects customers with brands. It can create interest, curiosity, affinity and connections. Another key factor is how the brand stands out in a multi – platform crowded experience. Our bookmarks, web apps on our browser, image results for search and also our mobile app icons and more, should make everyone think about how the identity performs and connects with the audience. From searching online, to sampling apps, to experiencing website UX and subscribing to their emails, competitor analysis is more open and accessible than ever before. More than ever before, insight can be gained to learn what they offer, how they communicate, what experiences they have and where they focus customer and product attention. All brands have to be aware that they are being watched, Prices are being matched, tweets are being scanned, and websites are being trawled through so as brands can begin to gain a competitive advantage. Key messages to support the product, service or customer value are essentially what add weight to an identity and enable consumers to “get it” in a few seconds. 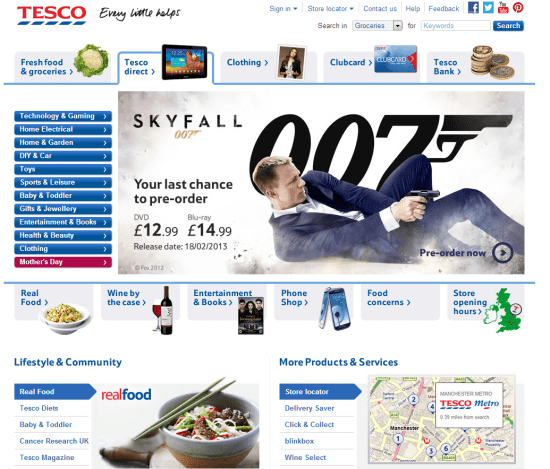 Tesco’s key ‘brand driver’ is simple; “Every Little Helps”. This means different things to different people, but Tesco strive through digital, to make shopping easier, more helpful, and personalised and more rewarding through its content, features, rewards, mobile apps, personalised offers and multi – channel shopping experiences. “Every Little Helps”, suits perfectly. Sky’s key message is “Believe in Better”. Sky do, over all the home entertainment and connectivity providers, have best in class solutions and the user experience it always seems is largely ahead than their competitors. Sky online products just feel right. I believe their products and user interface is “better” and I also have noticed their belief in being better has led to them being first for key innovations such as their “Sky Go” app. When developing a brand project, location is a key factor. With online, location becomes important because the business is not in total control of its audience and their location. 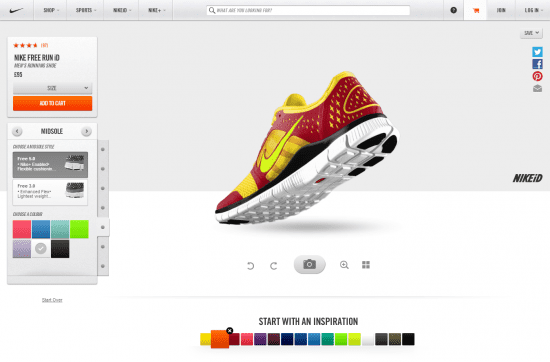 A great personalised online brand product experience comes courtesy of Nike. Nike ID This fits Nike’s highly personalised and user -connected brand experience which offers personal and complementary products such as Nike + and Nike Fuel. How people in an organisation understand and deliver the brand are central to making the brand work. Online, people still remain an important element to the brand on a number of levels. Customers may see, hear and read about key members of the team; customers may wish to check the history or find out more about a person they met to ‘suss them out’ further. Do I have the resource to communicate online? I have a team of content writers online how do I ensure consistency? Branding and brands simply are not successful in 2013 without ensuring digital is central to how they are communicated, advertised, consumed and shared. By taking into account the key factors mentioned in this article and ensuring there is a strategy that considers the right digital mix in support of the brand position, businesses can strengthen their online position in the marketplace and thrive in the digital world. View the full article on Online branding: a digital-centric approach to developing brands here.